Petition translated by David Broder. 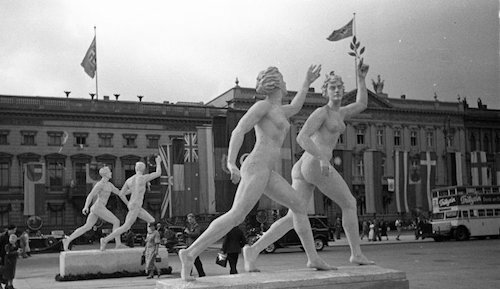 1936 Berlin Olympics. via Wikimedia Commons. Budapest, Los Angeles and Paris are still battling it out to be ‘host city’ for the 2024 Olympic Games, due to be selected by the IOC (International Olympic Committee) in September 2017. However, it is still possible that yet another city will withdraw from the contest, just like so many others that had earlier declared themselves candidates to welcome the Games. Such was the case of Boston (lack of popular support), Hamburg (in a referendum citizens voted against their city’s candidacy) and most recently Rome. Remembering that Italians are still paying the bill for the 1960 Games, Rome gave up on its candidacy for 2024 precisely so as to avoid ‘mortgaging the city’s future’. For some observers Donald Trump’s victory is bad news for Los Angeles. But maybe not. The IOC has shown in the past that sexist, racist and xenophobic statements do nothing to disturb its plans. On the contrary, organising the Games in the land ruled by a billionaire is the stuff of dreams for the members of the Olympics’ governing body; it might actually help the American city’s candidacy. It is striking that the Olympic Games are attracting ever fewer cities that are prepared to agree to the very heavy burdens imposed by the IOC — and not only in terms of costs. Too many observers rather hastily forget that the Olympic Games are not only ‘big business’. The Games’ very serious economic consequences should not blind us to the political and ideological effects of what Pierre de Coubertin called the ‘Olympic machine’. Contrary to its Charter’s proclaimed ideal of standing above politics, Olympism is political in at least two senses. Firstly, because it is traversed by all the political stakes of its given historical conjuncture. Secondly, because it constitutes a political vision of the world. The history of the Olympic Games, beginning at the dawn of the imperialist age, is a long-repeated series of complicity with — and capitulation to — the powers-that-be. This is combined with connivance with the world’s worst regimes: Berlin 1936, Mexico City 1968, Moscow 1980, Beijing 2008 and Sochi 2014. The choice of host city all too often illustrates the damning words pronounced by the Soviet dissident Vladimir Bukovsky after Moscow was selected: ‘Politically, a grave error; humanly, a despicable act; legally, a crime’. Racial, religious and political discrimination; propaganda campaigns benefitting totalitarian states; ‘cleansing’ operations and preventative repression in the name of peace; the militarisation of space and the permanent expulsion of the poorest from the neighbourhoods refashioned in the construction of the Olympic venues. Such is Olympism, the continuation of war by other means. Between sport’s rights and human rights, the wrong choice is always made; social and moral questions come after questions of muscle. Olympism is also political in that it is a ‘philosophy of life’, as the first fundamental principle of the Charter emphasises. The conception of the world and of society hidden behind the Olympic Ideal constitutes a series of ideological, pedagogical and cultural positions that we have to analyse and combat. The Olympic Eternal’s Great Ledger beguiles us with illusions: ‘Olympism seeks to create a way of life based on the joy of effort, the educational value of good example, social responsibility and respect for universal fundamental ethical principles’. Yet intrinsically Olympism is the ultimate in the organisation of lies, of dissimulation, of prevarication, of corruption. The ‘Olympisation’ of the world, to adopt De Coubertin’s phrase, is the like-for-like copy of the generalised liberalisation of our financialised societies. Democracy is very far from being its main goal (the IOC itself is a body whose 115 members are coopted rather than elected). Contrary to what their name suggests, the Olympics do not belong to the domain of ‘games’. After all, they never bring into play any freedom of organisation among individuals (including that of stopping playing), do not mix sexes or ages and are ultimately only interested in the winners (the gold medallists). Games have nothing to do with doping, insane levels of training, professionalisation and victory of all costs. Yet at the Olympics performance, prowess, records, output, going beyond oneself, and nationalism are everything. Moreover, the Olympics have made traditional games (like the very many invented by Native Americans) disappear, exclusively profiting so-called modern sports where what dominates is generalised competition among individuals and — totally contradicting the official texts — the implacable competition among nations. Reading the Olympic Charter moreover allows us to understand how this ideological machine works in fabricating mystifications and untruths. The second principle clarifies what its objectives are: ‘The goal of Olympism is to place sport at the service of the harmonious development of humankind, with a view to promoting a peaceful society concerned with the preservation of human dignity’. And nothing else! 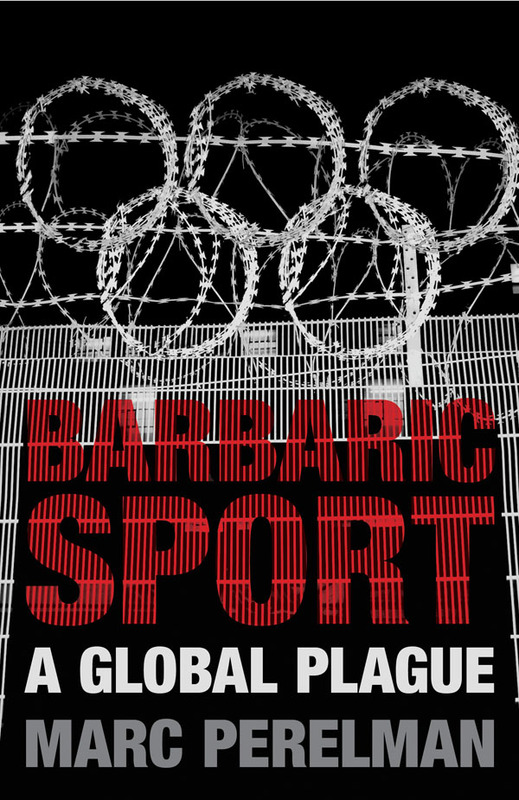 The fourth goes yet further, being so bold as to make sport a right equivalent to freedom, property and resistance to oppression: ‘The practice of sport is a human right. Every individual must have the possibility of practising sport, without discrimination of any kind and in the Olympic spirit, which requires mutual understanding with a spirit of friendship, solidarity and fair play’. The Olympic do-gooderism, supposed to lead to universal brotherhood and the perfection of man through the transcendence of class oppositions, all too often serves as a mystifying façade for barbarism and everyday austerity. To ask humans from a universe as divided as our own — with no system of common values — to forget their political and social antagonisms and confront one another in a stadium, is to minimise these antagonisms. Masking social conflicts and contradictions has always been one of the essential means of maintaining the established order. The Olympic enterprise is profoundly conservative in nature. As against the state-media propaganda for ‘Paris 2024’, we should listen to and spread the short but incisive 1936 message from the philosopher Walter Benjamin, lucidly attacking the falsity of the Olympic ideal: ‘The Olympic Games are reactionary’. Another philosopher, Theodor W. Adorno, himself denounced ‘sport [which] corresponds to the predatory, aggressive and practical spirit’. 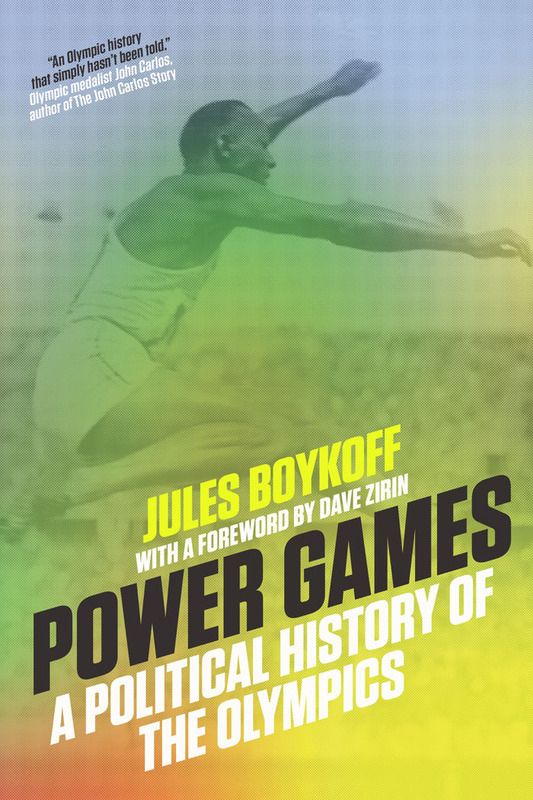 For his part the sociologist and historian Jacques Ellul stigmatised the Olympic Games as a ‘means of combat’, with its ‘mortal competitions, merciless clashes, a true Manichean struggle’. Yes, we should get rid of the Olympic Games and the Olympic Ideal. Let’s not delay in getting the Americans (Los Angeles) and the Hungarians (Budapest) to join us in refusing the Olympic Order’.